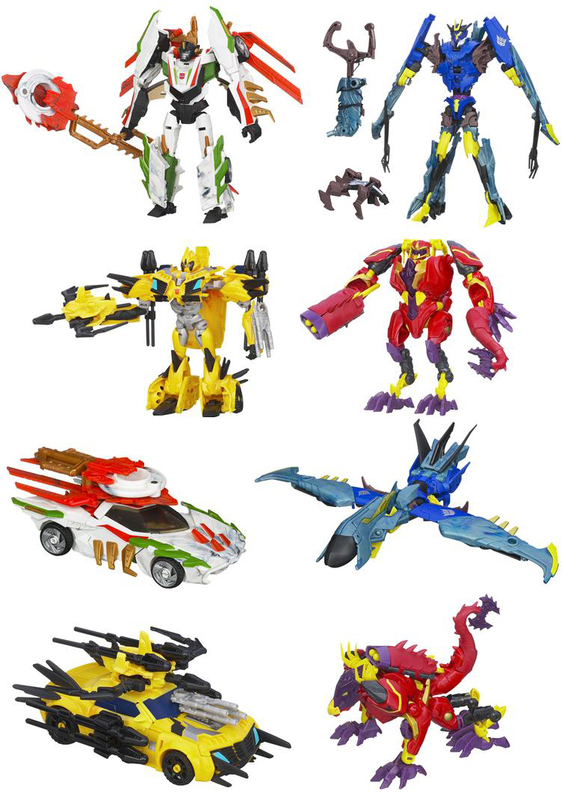 Next season on Transformers Prime, things get primal. 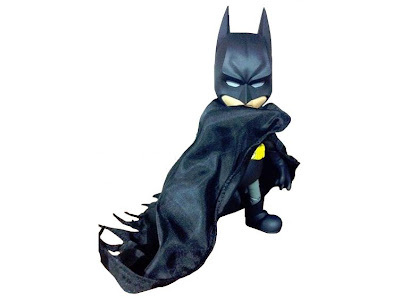 BigBadToyStore sends along this sneak peak at the first series of Deluxe figures for 2013. Look for Bumblebee, Soundwave, Wheeljack and Lazerback in January. BigBadToyStore provides us with this look at the inguinal series of Marvel Universe for 2013. 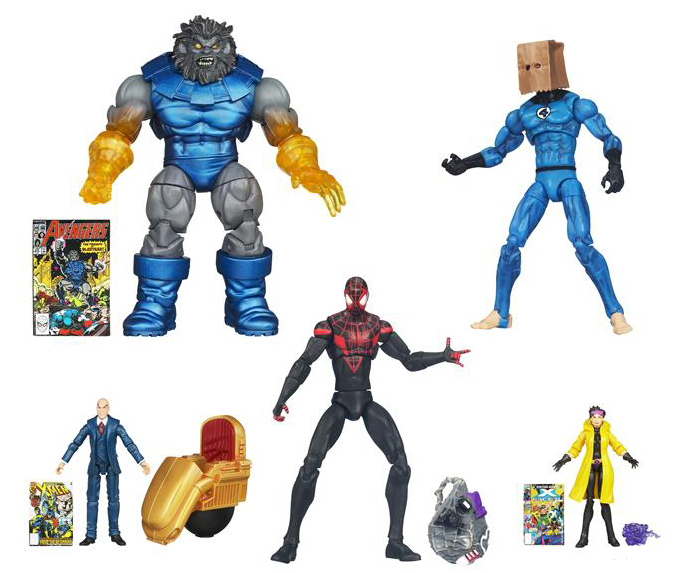 Spider-Man, The Amazing Bag-Man and "Blasting" forearm Blastaar are your random variants for this set. Check out the rest of the line-up and the case breakdowns on BBTS. 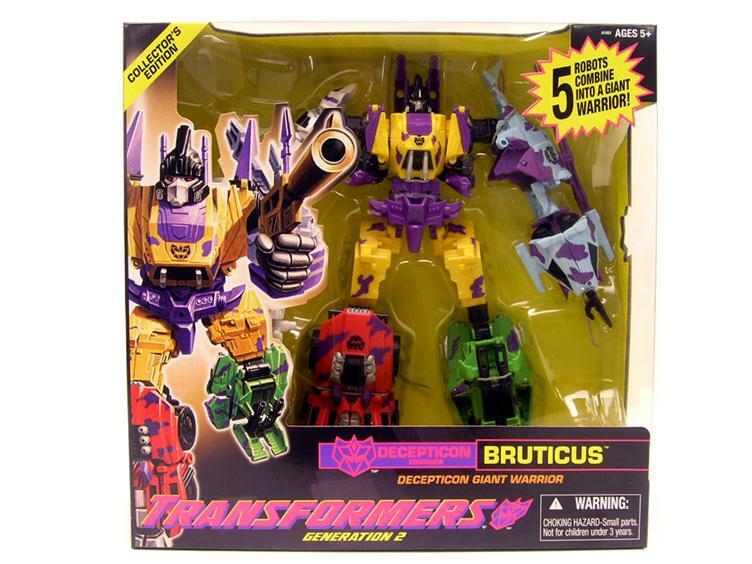 The Internet exclusive Transformers G2 Bruticus is now in stock at BigBadToyStore. Remember, it's not a Megazord, it's a Transformer. 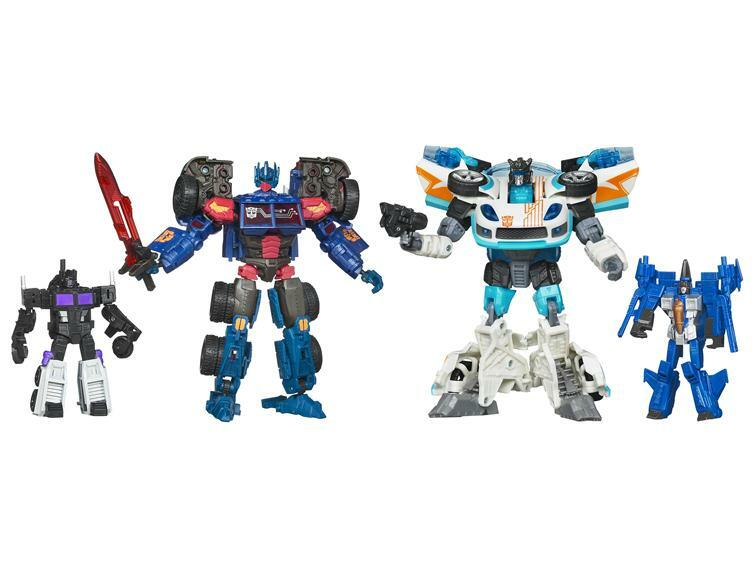 Pre-orders are open again for BigBadToyStore's exclusive Ultimate Transformers Gift Set. Halloween is out in full force at Target. The non-candy trick-or-treat section has unfortunately shrunk from an entire aisle down to a single endcap this year. But that doesn't mean there aren't still some good finds. There's a Batman from The Dark Knight Rises in [strangely appropriate] Halloween colors as well as the classic LEGO ghost and three-packs of S.L.U.G. Zombies series 2. If anyone actually gives out these $4+ toys to trick-or-treaters, please let me know so I can come knocking on your door this year. Or, more likely, I'll wait until November 1st and scoop up as much as I can at Target for 50% off.